Willowbrook, NY (October 10, 2018) – An accident that took place in Willowbrook on Wednesday afternoon, October 10, was reported to have resulted in an overturned SUV at a dangerous intersection. The crash occurred at approximately 4:45 p.m. at the intersection of Collfield Avenue and Caswell Avenue. According to officials, a gold-colored SUV had been traveling westbound along Caswell Avenue when it was hit by a white SUV that was heading north on Collfield Avenue. A witness at the scene reported having seen the crash. The witness also stated that neighbors have been petitioning for a four-way stop at the intersection where these accidents are a common occurrence. Police along with medical professionals were at the scene of the crash where injuries are believed to have been sustained. However, there is no word at this time regarding the number of people involved or the extent of any injuries. Authorities are currently investigating the events that led to this accident as this is a developing story. We, first and foremost, would like to offer our genuine sympathies to anyone who was hurt in this crash as we sincerely wish for their full recovery. New York car accidents frequently occur at a high rate of speed or a driver’s failure to yield, and these can often lead to catastrophic injuries or death. Our knowledgeable New York accident attorneys are exceedingly experienced in the enormousness of motor vehicle accidents, and we recognize the life-altering nature of a serious collision. It is vital for victims to understand that they may have rights when their injuries are caused by the negligence of another party. At Hach & Rose, we realize that the emotional, physical and financial stress that occurs following a New York car accident can be overpowering for all those involved. 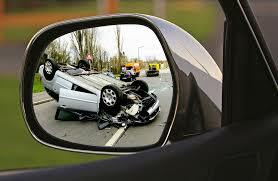 We are here for you as we have made it our mission to hold inattentive drivers liable for their actions. If you have been injured in a New York car accident, please don’t hesitate to call us at 212-779-0057 and let us put our experience to work for you today.